Arriva have purchased 10 of the former 266 batch of VNs. They were acquired in October and allocated fleet numbers VW901-910. They are on an 18 month lease direct from Volvo and will be used on the 123 alongside a similar number of DWs which in turn will oust the VLAs. At present the main priority is to get the HVs in service while the operating licenses for the VWs is awaited. Why only 18 months lease? Yes the 123 contract ends in March 2019 and it is out in Tranche 635. They have leased 10 former Tower Transit B9TL/Gemini 2s ex of route 266. They came via Ensignbus and I understand they are all parked up at EC now. From Go-Ahead South Coast : DAF’s M574 / 580 / 746RCP N89FWU N983FWT T217REL Darts HW54BUO / BUV. From Arriva London : Volvo B7TL’s LJ03MYS / MYT / MXV / MXZ / MYB / MYF / MDU LJ53BAO / BAU / BBF LJ04YWZ / YXA LJ54BEO DAF’s LJ53NHF / NHX / NHY. From Stagecoach Merseyside : Scania’s V138DND YN05WKD / WKE. From Tower Transit : Dart LK03NKJ. Darts HW54BUO / BUV : Emsworth and District, Southbourne, W Sussex. DAF’s M574 / 746 / 580RCP N89FWU N983FWT T217REL Olympian R738XRV : Decker Bus, Peterborough. Scania’s YN56NNG / NNE YN05WKD / WKE : Galleon Travel, Roydon, Essex. Scania V138DND DAF’s LJ53NHX / NHF : Mike Lawrenson, Preston. Volvo B7TL’s LJ03MYS / MYT / MXV / MXZ / MYD / MYF Dart LK03NKL : Hardwicks, Barnsley for scrap. Volvo B7TL’s PJ53SRO / LF52ZNP / PJ02RCZ / V313LGC LJ03MHF PF52WPV Trident LK03UFU : Shelton Motors for scrap. Darts PN06UYY / UYX : Avondale Coaches, Glasgow. Trident V192MEV : Shoreys Travel, Bedford. Dart SN51UAM : DS Dhoot driver training, Southall, London. Volvo B7TL LX03EEA : Meritrule, Kingswood, Surrey. Volvo B7TL’s PJ52LWE / LVT : York Pullman. Volvo B7TL LK04HZL : Elite Chauffeurs, Limerick, Eire. E200 YX09HZF : Grant Palmer, Flitwick, Beds. Volvo B7TL LJ03MBY : Aintree Coaches. Volvo B7TL LJ03MOF : G and P Car Dreams, Paphos, Cyprus. Volvo B9TL BX12CVO : RATP Yellow Buses Bournemouth. Scania YN56FDL : Lloyds Coaches, Machynlleth, Powys. Have the January movements at Ensigns been released yet? From Stagecoach South : Volvo B9TL’s MX07BUW / BVF. 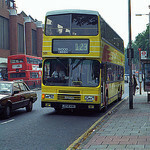 From Go-Ahead South Coast : DAFSB3000’s T216 / 218REL. Darts AE56OUP / OUS : Galleon Travel , Roydon, Essex. Darts LX07BYK / BYL / BYN / BYT : Swallow Coaches, Rainham, Essex. Volvo B7TL’s PJ52LWR / LWL / PJ02RFF / RDU / RDV / PYY LJ03MFA Trident X201UMS Darts EU53PYL / PYA / SN03YBB Scania YM55SXC : Shelton Motors for scrap. DAF DB250 LJ04LGN : Presidential Travel, Bootle. Volvo B7TL Y414CFX : Dews Coaches, Somersham, Cambs. 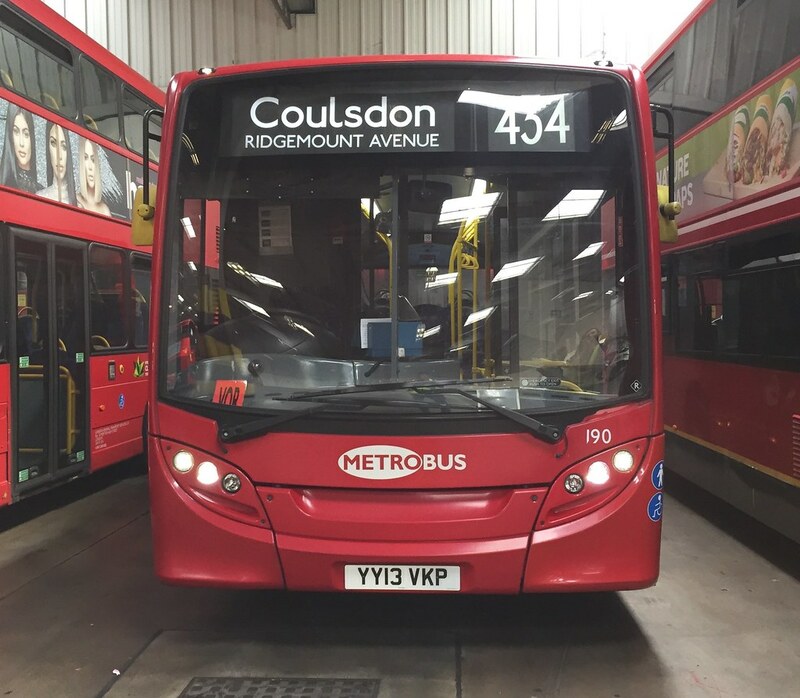 Volvo B7TL’s LJ03MHA / MRY / MSX / MPY : Cali and Sons Coaches, London, NW10. MAN YX58DXB : PCL Travel, Prudhoe. Volvo B7TL LK04CRF : Bear Buses, Feltham, Middx. E200’s YX09FLM / FKW LJ56VSP / VSU : D and G Buses , Stoke-on-Trent. Volvo B7TL’s LJ03MDU / MBF / MRX DAFSB3000’s T216 / 218REL. : AH Commercials, Peterborough. Dart PO56JFA : Avondale, Clydebank. E200’s YX12AKN / AEW / AEY / AEO / AEP / AKV : RATP Yellow Buses, Bournemouth. Volvo B9TL’s BG61SXL / SXM / SXP : Selwyns Travel, Runcorn. Versa YJ62FSE : Vision Bus, Bolton. Tridents X202 / 203UMS : Cotswold Green, Nailsworth, Gloucs. Dart AE56OUH : Faresaver, Chippenham, Wilts. Solo CX10AUP : Rotala plc. Volvo B7TL LG52DAA / LJ03MSV MAN YX58DXD : Mike Lawrenson, Preston. E200’s YX61FZC / FZH / FZG / FZE YX10BGV / BGY : Red Rose, Aylesbury. Volvo B7TL LK04CVW Dart SN51UAX : Hardwicks, Barnsley. Scania’s YN53RYT / RYY : Renown, Bexhill. Volvo B9TL BF60UUE : City Sights, London. Volvo B7TL LF52UPC : Waggon Wheels Dining Bus, Amersham. Volvo B7L’s SA52DVV / DVW / DVZ : TM Travel, Sheffield. E200 CX65BUF into fleet as 601. Sad to see TA201 (or TA40201 had it still been in the fleet) going for scrap, as well as DP195 and ex Metrobus 272. Glad to see former Metrobus 706 and 708 being put to work elsewhere. And people complain about blinds and liveries in London!